This particular 1988 951 Turbo S wrapped in a basalt black exterior and a black interior has been with the current owner since 1998 and has extensive service records dating back to that time. It has been extremely well maintained and cared for and with only 64,355 miles on the odometer it shows.---Total production numbers for the U.S market were 718 and only 62 were painted in black, making this 951 Turbo S very unique and rare.----Pre-purchase inspection report by our Porsche Factory trained technicians available to review.----Clean Title and Carfax. 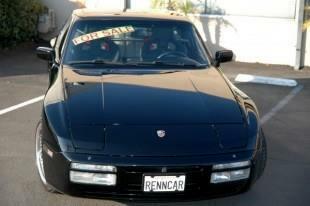 Message: Thought you might be interested in this 1988 Porsche 944.